Feature Friday is our effort to spotlight people in the personal finance community who are doing great things and helping improve the lives of others. We want to help them spread their message and get their projects in front of more people. If you’d like to nominate someone for Feature Friday, contact us and let us know why they should be spotlighted. You can find more articles like this on the main Feature Friday page. Jason and I first met when Jason posted in the FinCon Facebook group asking for help with a project he was working on. 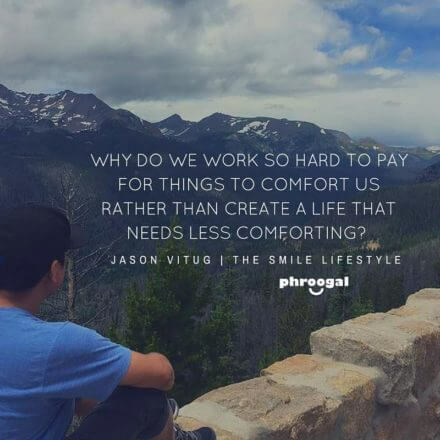 We jumped on a call later that week and he told me about this crazy idea for a round-the-country road trip called “The Road to Financial Wellness.” He was going to travel around the country for 30 days hosting 30 events to help people learn better financial practices…it sounded super ambitious, and I LOVED the idea. I offered to help for the Philadelphia event in my area, and that’s when we first met in person. We got cheesesteaks with his road trip crew and hung out for the day, at the end of which he taught young kids about saving money. Immediately I saw the passion Jason had for helping people. Every time we get together he just emanates this genuine spirit and generosity in helping those he is surrounded by. Which is exactly why I wanted him to spotlight him and his work in this Feature Friday. Jason recently started a new challenge trying to get people to check their credit scores. In true ambitious-Jason fashion, he’s trying to get 1,000,000 people to check their credit scores for free to raise awareness. Here’s what Jason had to say about business, marketing, and personal finance. How did you get into personal finance and online business? I’m what you call the unconventional personal finance expert and the accidental entrepreneur. Initially, I had no interest in going into financial education or starting a business of my own. I followed a more traditional path and worked in banking as vice president of marketing and business development. I was in that position for 3.5 years until the fateful moment I resigned and backpacked around the world for a year. During my travels, I realized how financial knowledge and access helped me gain financial independence. When I came back in 2013, I wasn’t quite sure what I was going to do but decided to start blogging about an idea to crowdsource financial knowledge. I noticed that people were really interested in my money story and how I shifted my mindset to be able to break away from the traditional path. I saw my readership go from 12, mostly made of family and close friends, to hundreds in a few months. I was cultivating a community and it was that community that helped me raise $78,501 in 30 days crowdfunding on Indiegogo. What is the Phroogal brand all about – what kind of impact are you hoping to have? 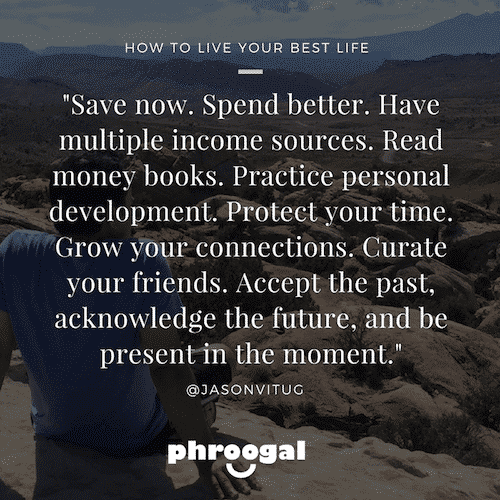 Phroogal is the best and simplest way to learn about money and achieve goals. 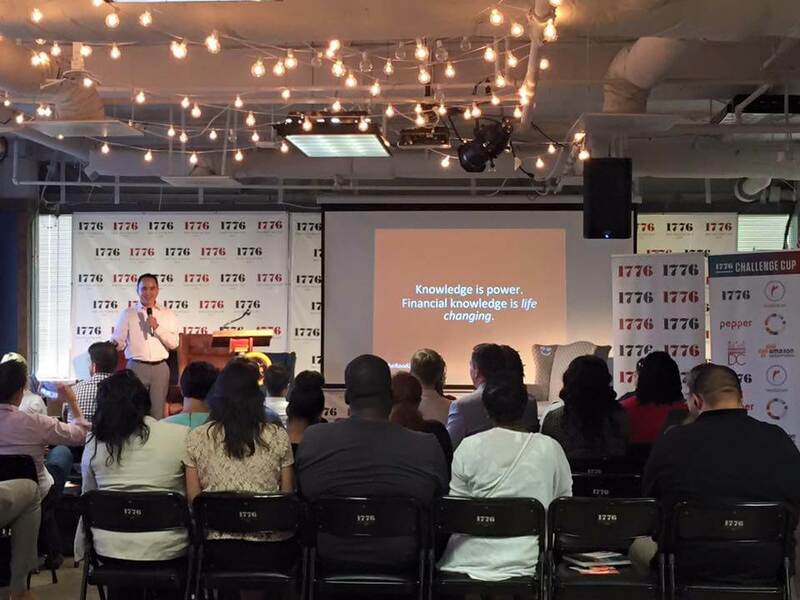 I’m empowering a generation to live their dreams through financial knowledge, access, and community. I actually only care about money with respect to how it can positively impact our lives and our communities. My goal isn’t to teach you how to accumulate vast amounts of money, or how to buy an expensive car or go on a lavish trip, or obsess about financial numbers. I want people to define wealth on their terms with the concept of financial wellness. Financial wellness is about your health, your wealth, and your overall wellbeing. Essentially, I want people to master money and live their best lives. 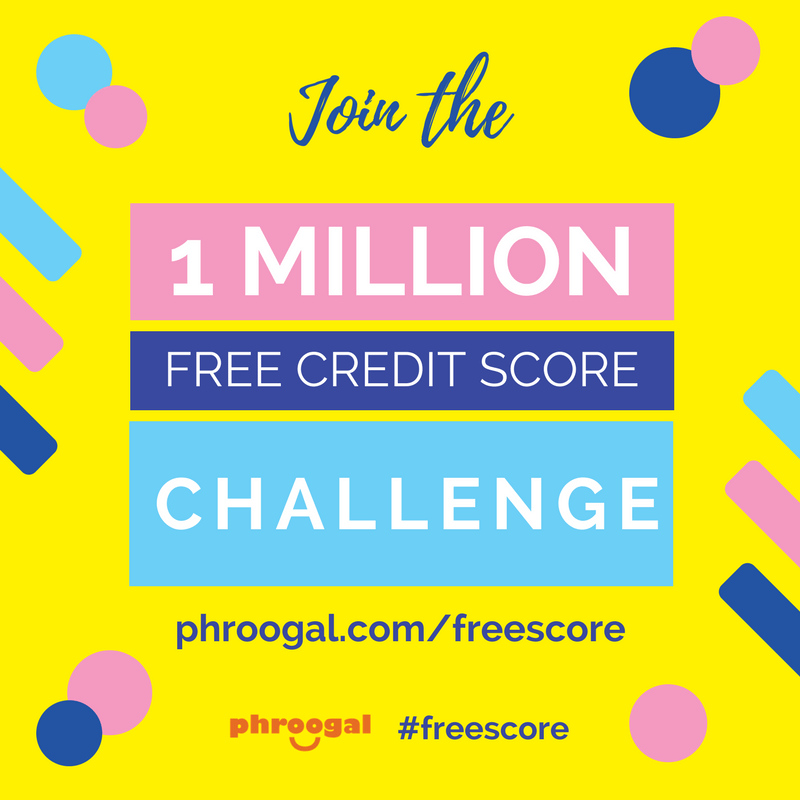 You’re working on the 1 million credit score challenge – what’s the goal of this project? My mission is to break the taboo on credit and using credit scores as the channel to get people engaged in the conversation. My goal is for people to understand that credit scores are not the financial benchmark that determines if we’re managing our money well. I hope for people to understand that they are more than their score. I want people to focus on financial numbers such as income, assets, and net-worth as opposed to credit. I acknowledge that credit is a tool but without knowledge or access to the best tool, it often leads to long-term debt. Debt prevents us from living our best lives. Who are you trying to help with this project? My vision is to reach 1 million people who believe that there is more to living than accumulating things or experiences that allocate our time to work than fun. I’ve traveled across the country and have met thousands of people who want more out of life. And there is a growing community of people who understand credit’s role as leverage not as supplemental resources for consumption. Tell us why you find this project important. It took me a while to understand that credit, like money, is a tool. It’s not evil or good. It’s useful and destructive. It all depends on the individual’s understanding of how to use credit. I realized that telling people credit scores were not important was futile. There’s way too much marketing and cultural references to credit scores that people interchange credit report with credit scores often. This project is important to me because I want people to understand they are more than their credit score. That there are other indicators of wealth that we should obsess over. I would rather people talk about how they achieved $10,000 gain in their net worth than get asked questions about how to get a perfect credit score. It seems counterintuitive to promote a free credit score challenge when my aim is for people to understand they’re not that important in assessing financial independence. But I decided not to fight against the millions of dollars in marketing spend and cultural symbolism of scores. Instead, I want 1 million people to get their free score and realize something much more profound–a credit score only tells you how much debt lenders believe you can manage without resorting to bankruptcy. What is your overall mission in business? Why do you do what you do and why did you get started? My vision for Phroogal has always been to become the name associated with personal finances from accessing relevant information to discovering the best products, services, and tools to achieve goals. 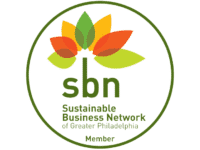 I consider my business a social impact business because having people become financially stable and well leads to a better community. As I work hard to achieve my business goals, I work even harder to ensure I serve my purpose-empowering people and communities. My experience with money, debt, and finding the space to live a happy life is what keeps me going. I’ve been through where many people have or are today and I’m living a life many wish they can. I want people to know they can achieve their goals and live their dream life. Surely, I can live a more quiet life enjoying it outside of the limelight, but I found my calling–my purpose–to serve others as a financial motivator and connector. Do you have any strange habits that have helped you in business? I don’t think it’s a strange habit, but I’ve always been the type of person to execute quickly when it came to ideas without much deliberation. In my past senior executive role or in my business today, I rather act than analyze an idea to exhaustion. Some have said I can be foolish and rush into projects, but I’ve found it has served me quite well. I’ve learned that an idea is only as good as it is executed upon. And once you’ve launched an idea, you can quickly learn if it works or not, then decide to make changes if it’s something that has some viability, or end it. I am also known for sharing ideas with others freely. I don’t keep much of it a secret because if they can do it better and execute on the idea, more power to them. What I’ve gained are more collaborations that have propelled me forward. How are you promoting your brand online? My brand is primarily promoted through media using blogs, email, social media specifically Facebook, Instagram, and Twitter. What have you found to be most impactful when getting the word out about what you’re doing? Email seems to be the best way to get the word out to others about any projects I am working on. Email seems so outdated but it removes the barriers to connection with my community. Social media platforms can continue to change the rules that limit my ability to communicate without paying fees. With email, my subscribers have said yes to learning about my new projects and ideas. Additionally, I’ve found using Facebook ads to be ideal in finding others seeking a community around financial wellbeing and receptive to the message. What’s important is to have them share their email address as opposed to liking the Facebook page. What was the biggest marketing mistake/failure you’ve made in the past? Wasting money on Facebook Ads to increase my page followers and realizing it was getting harder and harder to speak directly to followers of my business page. I realized that ads shouldn’t be spent on increasing the number of page follows but rather on one specific action. In terms of business, what has been the biggest failure you’ve experienced? What did you take away from that? Early on I was so focused on getting things done and didn’t give time to create a system for email, social media management, and accounting. It’s important to start building out systems to make growth a better experience. Do you have any business role models or people you look up to in business? I look up to Richard Branson who exemplifies the entrepreneurship lifestyle of owning multi-billion dollar businesses and still manages to have adventures, give back through philanthropy, and have a private life. The Virgin brand model is what I aspire Phroogal to be one day associated with products and services. What book has had the most impact on you in terms of business, sales, or marketing? It’s been helping me test assumptions and execute on ideas quickly to discover the ONE Thing that would make everything else easier for me to achieve. What is the number one lesson you’ve learned in while running your business(es)? The importance of finding the right people to work with. You simply cannot run your business by yourself and if you want bigger success creating a team is essential. I learned that a room full of entrepreneurial minds won’t get stuff done quickly. We actually need a room full of order takers and doers who love to focus on the details and the work above the grand idea. What legacy do you want to leave? In other words, when you’re all done, what do you want to have accomplished at the end of it all? In the end, I plan to be able to say I had a happy life. As Aristotle philosophized that happiness can only be achieved at the end as an assessment of the totality of the things experienced, achieved, and actively pursued. What do I hope to leave behind for others? I want them to understand that no matter where you come from and the life you experience, you can learn to master money and live your best life. Businesses come and go. Entrepreneurs come and go too. What remains are the ideas and the actions that can influence generations. That is the legacy I wish to leave behind. How can people help/get involved? Anything else you’d like to share that wasn’t covered here? I want to leave you with a thought: If someone wrote a book about your life, would you want to read it? So go out there and live your best life through experiences and experiments, through business and philanthropy, and through planning and risk-taking. Wow, that was powerful. Jason has a huge vision and is so good at bringing his ideas to life, so I can’t wait to see how this plays out. You can connect with Jason on Instagram, Twitter, and Facebook. You can see more spotlights like this over on the Feature Friday page, or by following our Instagram.